Doris Hangartner – Tapered blocks of light blue ceramic bring even more colour to this yellow gold and diamond cocktail ring set with an unusual light purple tanzanite. 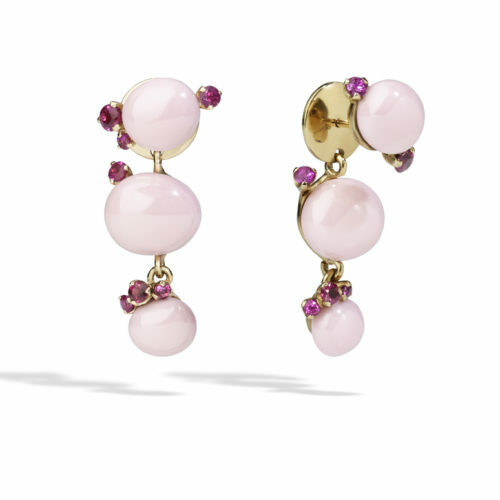 Pomellato – Rounds of lustrous, pink high-tech ceramic take the place of gems in these yellow gold Capri earrings, which have been further adorned with tiny claw-set rubies. 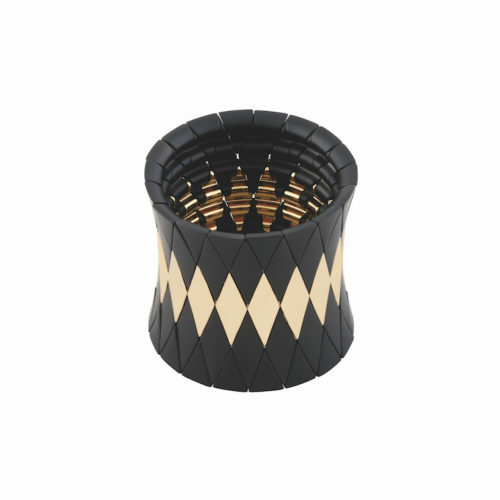 Roberto Demeglio – Diamond- and triangular-shaped blocks of matte black ceramic clash beautifully with polished yellow gold to create this bold cuff from the Aura collection. 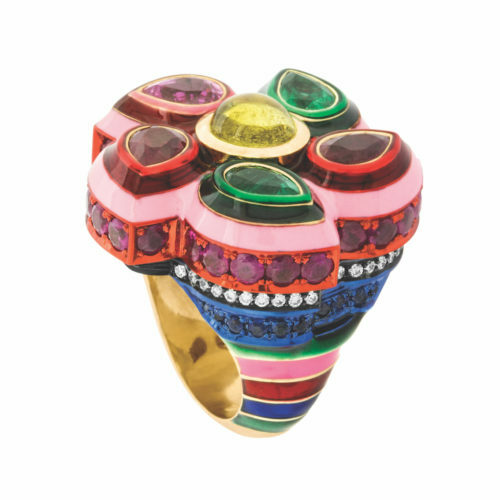 Solange Azagury-Partridge – A rainbow of ceramic and enamel layers have been stacked to create this gold and gemstone Flower cocktail ring from the customisable Poptails concept. 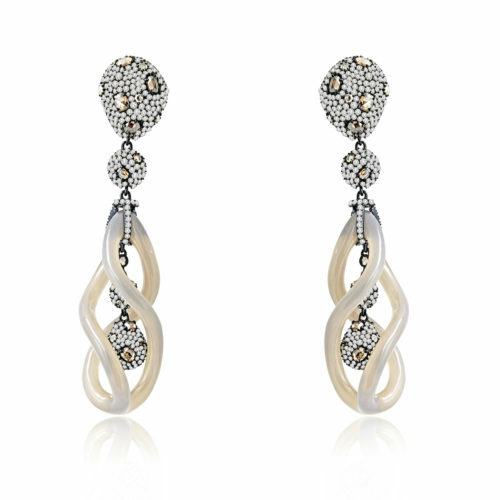 Sutra Jewels – Glossy, twisted ceramic off-white shapes create dramatic drops for these black gold earrings set with round brilliant diamond pavé and rose-cut brown diamonds. 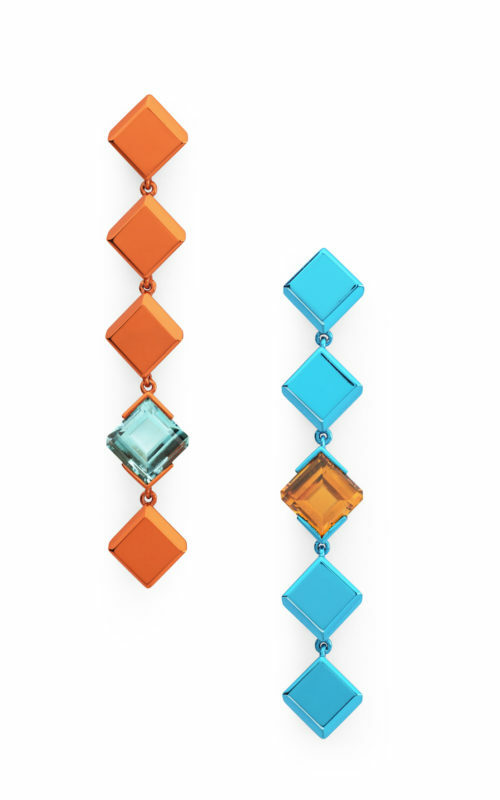 The Rock Hound – These Chromanteq earrings use orange and blue nano-ceramic coatings over recycled gold to match a Namibian tourmaline and a Nigerian Mandarin garnet. The post Ceramic 2.0 appeared first on JFW MAGAZINE.